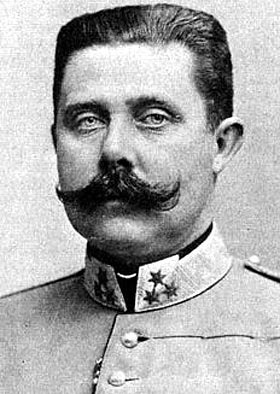 Before his assassination in Sarajevo in 1914, Crown Prince Franz Ferdinand, heir to the Austro-Hungarian throne, played an active role in imperial politics in the Balkans. He also supported the creation of a new southern Slavic State (Croatia, Bosnia and Dalmatia) within the Dual Monarchy to counter Serb aspirations. The prince resided in Schloss Belvedere in Vienna with a group of advisers who formed the so-called “Militärkanzlei” (Military Chancery) that promoted the armed forces and was keenly interested in the events unfolding in the Balkans. The following report was sent back to the Chancery by an Austrian Lieutenant called Bruno Thomas, who describes what he saw and experienced in Albania shortly after the declaration of Albanian independence. It includes some delightfully caustic comments on the natives and the newly improvised Albanian government. The first people of the mountains, who have preserved their way of life completely and constitute the nucleus of the people. They have had little or no contact with the Turks and their authorities, and have therefore been able to maintain their original customs, attitudes and traditions. They steal and murder wherever they can, regarding blood feuding as a sacred obligation. They are sly, egotistical, exceptionally intelligent and clever, lazy, and constitute that part of the population who are generally known as “Albanians.” Their hospitality is extraordinary. Under the roof of one of them, you are completely safe from being pursued, robbed or attacked. In general, they do expect a small token of appreciation, especially from foreigners, a coin or two that you give to a child when you leave. The women tend to the fieldwork, whereas the men go hunting, sit around doing nothing, or talk politics – something we noticed even in the remotest locations. Talking politics is a highly developed art in Albania, but it involves a lot of blathering about relations with various countries. In this regard, the Albanians differ strongly from the inhabitants of our Austrian mountain regions. During the Battle of Kuçi (about one day’s march south of Vlora), which was conducted against the Greek forces that had landed in Himara, the people refused to fight anywhere except within the confines of their own tribal territory. There is a curious phenomenon among the tribes – one tries to outdo the other in feats of courage, but I find that courage among individuals is rather questionable if one considers that the men killed in feuding are always secretly ambushed. The Turks are despised everywhere, as are, depending on the political constellation, the Greeks or the Serbs. There do not seem to be any free farmers, but rather serfs from whom the landowners received one-third of the harvest. The wives of the Muslims go about unveiled. Religious beliefs are in general rare. Alcohol in the form of raki or wine is enjoyed, though in moderation. There is no interest in cultural advancement unless it has some connection to weapons or other shiny objects that make noises. In a very remote district where no foreigners had probably been seen for a century, we came across a gramophone and a modern magazine pistol. Robbery and murder are the norm, theft is particularly highly regarded where skill and cunning are required. We spent a night with an Aga who boasted that he only served stolen fish at his table. No one among these Albanians speaks Italian. Some immigrants returned from America know a bit of English and others who have been to Bosnia know Serbian. Schools are only to be found in southern Albania: no Albanian schools, but only a few Turkish ones and a lot of Greek ones. However, here and there in the mountains, one does come across printed books and brochures in Albanian. Some people can read and write Turkish. These Albanians are absolutely reliable. They are incapable of breaking their word of honour, despite all their other dealings and avarice. In Santi Quaranta [Saranda], we were advised to use the services of a notorious robber and murderer for a longer trip through an unknown mountain region, since he knew the mountains well. The man seemed quite reliable when we met him. We would have felt well-protected to have him as our companion, but since he was in a feud with a neighbouring tribe in the region in question, we were forced to do without his services. In this population group are the rich and influential beys like Iza Bolletinac and Rhiza Bey etc., who can best be compared to the robber barons of the German Middle Ages, and are usually busy feuding with one another. Some of them cannot even read or write and many of them are unable to comprehend the current changes taking place for Albanian independence and the endeavours undertaken towards the creation of a State. But their power and reputation are such that no important changes can take place against their will. The second group of the Albanian population are those who have had some contact with Turkish or Western European culture. They can justly be regarded as the scum of the earth. They do nothing but make fun of the ways of the mountain people, but they themselves do not have the courage needed for highway robbery or blood feuding. Aside from their clothes, they have adopted only the worst attributes of Western culture, yet they regard themselves as perfectly cultured and stand above things like religion, patriotism, loyalty and reliability. They have a rather modest level of education and express decisive views on all subjects. They live off the land they own or many of them were once Turkish public servants who oppressed their subordinates. They are incredible freeloaders, sponging off the leaders of their parties if the latter are themselves wealthy beys, and currently love to gamble at Hazard for large sums of money, often over 1000 Francs in one night. They warn foreign visitors against one another. These people will do anything for money, and they constitute an important group because, aside from a few honest individuals to be mentioned in the third group below, they are the only ones with enough education to serve at least as low-level employees and ensure contact with the general population. The third group consists of about twenty men who were educated abroad and can be regarded in all aspects as gentlemen, even though their education is often superficial. Solidarity in this group of men is hindered by the fact that they were all educated in different countries and brought back with them the culture and ideas of the country in question. This has led to their division into factions opposing one another. No one in Albania understands the importance of time. In talks with Rhiza Bey, he declared that he could muster 15,000 men “immediately.” It took us a long time to understand the meaning of the term “immediately.” We finally realized that Rhiza Bey meant about one month. It is no exaggeration to state that in making and implementing decisions in Albania, a week and a day have the same meaning here as a day and an hour in our country. Common to all Albanians is a love of party politics. Political struggles among the best known and richest families are reflected even in the poorest quarters of provincial towns. What the other party is doing is terrible and must be stopped. We noticed this in Nivica on our march through the mountains. Despite the hospitality, that the natives regard as sacred, we were treated in an almost unfriendly manner by some villagers because, not knowing anything about local politics, we had with us a letter of recommendation from a bey for Ismail Kemal, who regarded the bey in question as his foe. The “provisional government” of Albania was created by the influential men of the country in order to demonstrate abroad that an independent Albanian State exists. The activities of this government are devoted to this sole end. After much political infighting, Ismail Kemal, a man of about seventy, was selected as head of the provisional government. He was and is considered a capable figure, but one who uses his political influence primarily to increase his personal wealth. His enemies claim that he receives 200 Napoleons every month from the Greeks. He was long a supporter of the Greek-Italian cause, and is then said to have changed over suddenly to become a supporter of the Austrian cause. The other “ministers,” of whom there are eight, were appointed by Kemal so that he could retain all the power for himself. Men were thus brought in who were either creations of Kemal or, with the exception of the vice-president Don Kachori, who are incapable of making any independent decisions. When the foreign minister was appointed, he asked Kemal for information about Albania’s relations with other countries. Kemal refused to give it to him. The minister then resigned, as did his first and second successor. The position is currently held by a man who cannot even write his own name and is a mere figurehead. The government’s power and authority rests on about 100 gendarmes. Its sphere of power stretches from Lushnja in the north, to Berat in the east and Gjirokastra in the south. In these towns, and in Vlora, the Albania flag flutters over the one-time Turkish town halls. Aside from this, there is no sign of Albanian government authority. The Post and Telegraph Office has kept on its earlier Albanian employees. Government influence over this institution consists only in some verbal instructions that the post office employees in Vlora receive from Ismail Kemal personally. The minister of war, a one-time Ottoman general (head of a brigade), seems to do nothing at all. Military activities are carried out by Kemal’s eldest son. Instructions to the few towns and villages under government control are not issued by the minister of the interior, but are sent to the mayors in question in an ad hoc manner by Ismail Kemal himself. There is no road construction or road improvement. It is also quite certain that the minister of trade and commerce and the minister of education, a former pimp from Salonika, have never issued any instructions whatsoever. The primitive manner of governance in these areas continues exactly as it did in Turkish times. Taxes seem to be paid to the new government in Vlora and other towns voluntarily and at the same level as before. The work of the minister of justice is restricted to giving orders to the Vlora police. In general, the government is not taken seriously. It is put up with because it is a recognized necessity to have an official government. Even the party opposed to Kemal understands this. But it leads a shadow existence and has no real authority anywhere in the country. If the government were to fall, it would have no consequences because it would not change the power structures among the political leaders. It would be impossible to subordinate leaders like Iza Bolletinac and Rhiza Bey to the present government. As its official offices, the government has one council room with a desk in it. Minutes are kept in Turkish since not all members of the government can read and write in Albanian. The members of the government are well aware that they do not possess the requisite knowledge and experience to run a country properly and that they do not enjoy a good reputation among the people and among the beys and agas. They make fun of their situation and regard Ismail Kemal as their indispensable leader. 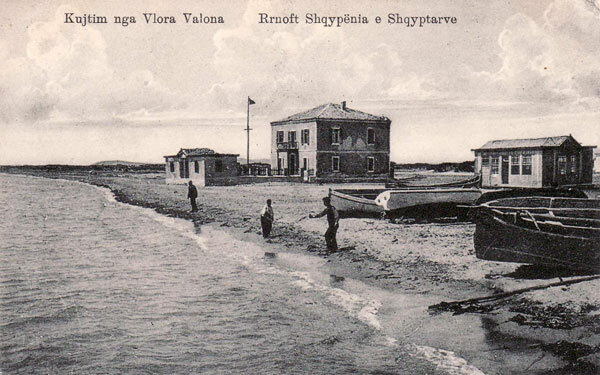 In addition to the ministries, there is also, formally, a senate composed of the most respected beys of Vlora. This body does not even hold meetings or take any decisions. Even though a government may be said to exist in Albania, the real structures of power are such that the earlier leaders and landowners can do whatever they want, without the government even daring to curtail their activities. The leading circles show a total lack of initiative. The current lack of clarity in government responsibilities provides an excellent excuse for doing nothing. All that they do is to sit around in cafes, chatting and making plans for what might happen if this or that were to take place.